Cottons Centre’s unique selling point is its much sought-after location, excellent facilities and prized river view office space. In amongst some of the world’s most famous London tourist attractions, London Bridge City is the new diverse modern hub combining business, culture and leisure. 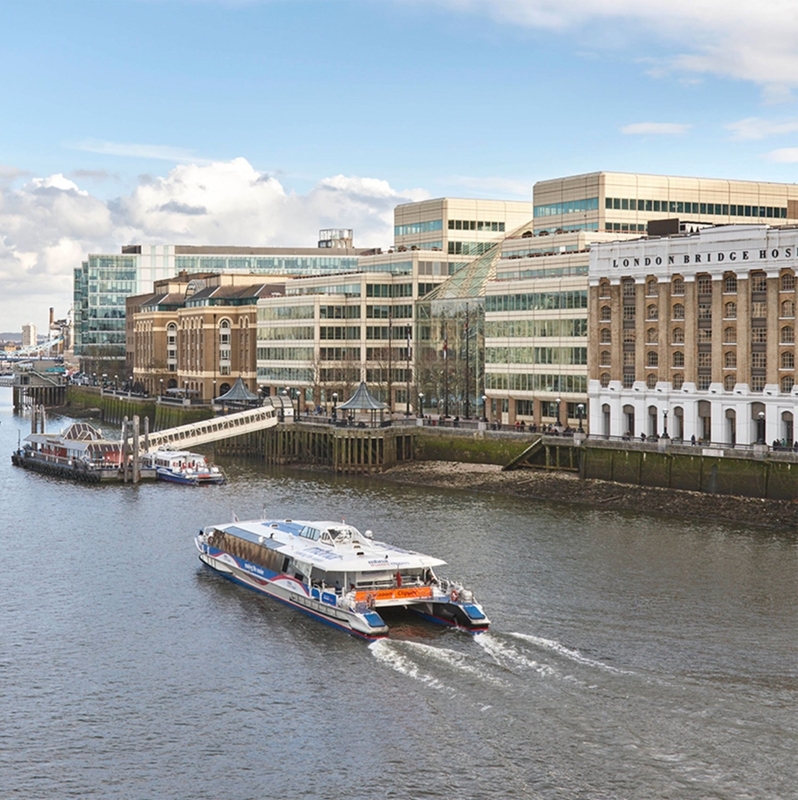 Cottons Centre is strategically placed at the heart of one of London’s most desirable riverside locations. Submerged in this dynamic and desirable business district, it offers its occupiers and visitors a diverse working environment that benefits from the energy of the wider London Bridge City estate – a buzzy and bright community. Providing over 300,000 sq ft of premier Grade A office space for the modern occupier, including a business lounge, leisure facilities, 24hr security, car parking, bike storage, showers, air conditioning and an environmentally conscious outlook, this property has not only all the business requirements but possesses an impressive glass atrium entrance with spectacular riverside London views that are worth boasting about. Outside the building the soothing water feature, Cascade, welcomes people to Cottons Centre and gives a sense of serenity to the hustle and bustle of City life. Just a few minutes walk to the City and a stone’s throw away from Hay’s Galleria and Borough Market, its fantastic position makes it the perfect location for a quick bite, much deserved after work tipples, and pay day treats at the vast riverside food, drink and shopping outlets. The Cottons Centre is embedded within the enviable, charming and charismatic iconic London Bridge neighbourhood.